Beautiful view to the beach from the top floor terrace apartment. Sound/sun proof doors with good isolation. Located not far from the beach. Parking in front of apartments. The location is perfect. A short walk from Valtos & Parga beach. The staff was very friendly, it's a family run place. Apartments are smart and the lady comes to clean every day with clean towels as well. Self catering, no option for breakfast and no swimming pool but that's not an issue. Perfect choice if travelling with children. 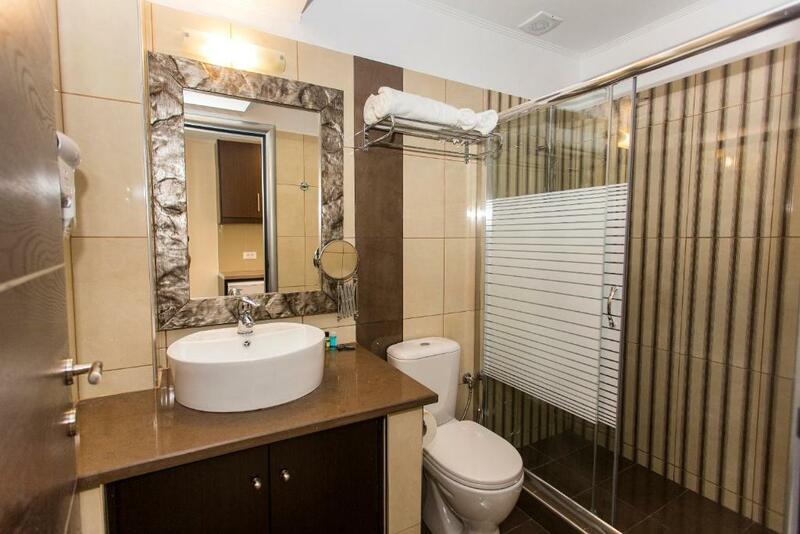 It was all very nice, decorated to a good standard, with a good sizes shower. The view was truly fantastic, the room comfortable and modern and the staff very helpful and accommodating. Probably the best property we've stayed in when visiting Greece. We even had a private sunbathing area next to our room in addition to the normal balcony. Everything was great and we are really happy with our stay. Room was cleaned every day and towels changed every second. Nice view from the balcony complimented by good coffee from the hosts. Also the private parking was important for us as we traveled by car. Lock in a great price for Pelagos – rated 9 by recent guests! One of our best sellers in Parga! 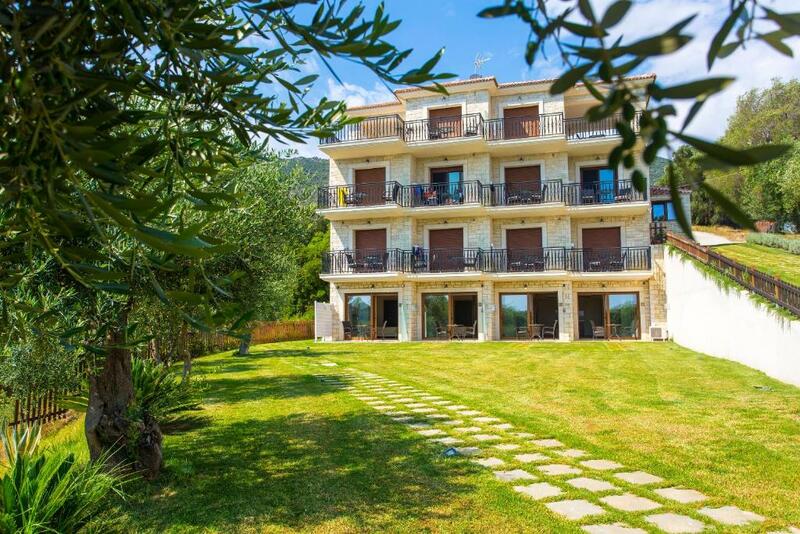 Built on the hill of Kanali and only 500 feet from Valtos Beach, Pelagos enjoys panoramic views of the Ionian Sea. It is surrounded by a well-tended garden and offers self-catered accommodations. Featuring modern décor and stone details, all air-conditioned studios open out to a sea-view balcony with outdoor furnishings. 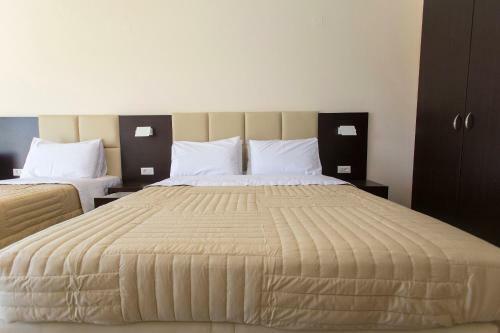 Facilities include a well-equipped kitchenette and a flat-screen TV with satellite channels. A cabin shower and hairdryer are provided in the bathroom. Guests can find a mini market and taverns within 650 feet from Pelagos. The center of Parga Town is around 0.9 mi away. Free, private parking is possible on site. 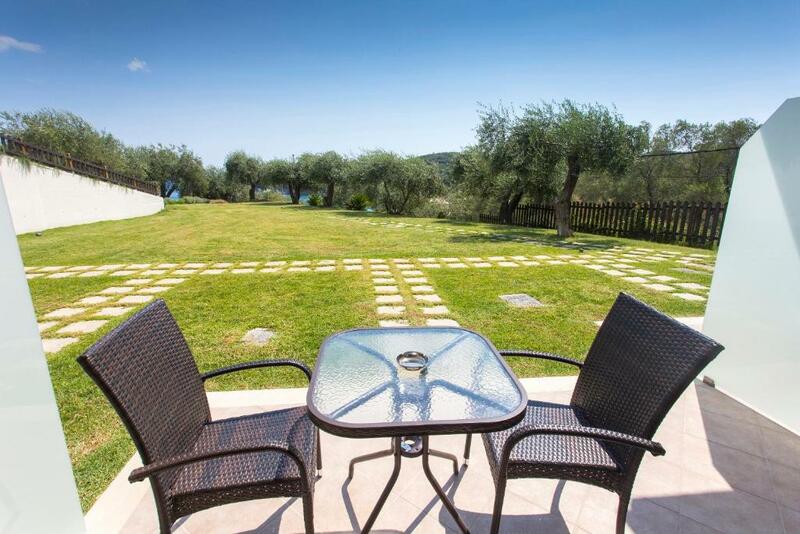 뀐 Located in the top-rated area in Parga, this property has an excellent location score of 9.3! When would you like to stay at Pelagos? This studio has a kitchenware, soundproofing and air conditioning. House Rules Pelagos takes special requests – add in the next step! Pelagos accepts these cards and reserves the right to temporarily hold an amount prior to arrival. Please inform Pelagos of your expected arrival time in advance. You can use the Special Requests box when booking, or contact the property directly using the contact details in your confirmation. The shower head needs a holder above head height, rather than waist and a more consistent feed of hot water. The only criticism, and a very minor one, would be the lack of a toaster. But that's probably because I'm British! Hill back up from beach. Hard work in the heat. Wifi signal in the room was not very strong but outside in the terrace it was OK. The pillows could be better. Very big, modern and comfortable room.Nice view.Friendly hosts. We really liked the location, 5 min walk to the Valtos-Beach and the Beach Tavernas. Parga town was 10-15 min walk away through very charming and beautiful small streets with restaurants. We would definitely recommend it! Nothing really - we would stay here again. I would like to have been able to switch all the lights off on the balcony at night, but one does stay on until around 5am every morning. A good sized, modern room, there are mosquito screens on the doors and windows. Security box available. Good air conditioning and wifi. The balcony is large with a fantastic view and good quality furniture. It is only a 5 minute walk through the garden to the beach down the hill. Quiet setting - don't be put off by the view with the road around the property as you don't get noise from it. 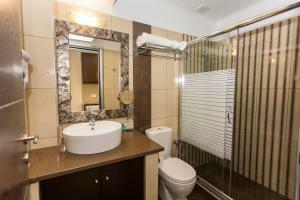 Within walking distance of two supermarkets. About a 20 minutes walk into the centre of Parga over a hill, but there is a boat service that runs from the beach to the centre of Parga every 30 minutes until midnight for 2 euros each, so you don't have to walk.